When the Jeep Wrangler was first released in the mid-1980s, it occupied a very small niche market which three decades later has become one of the most popular and profitable SUV segments for Jeep. 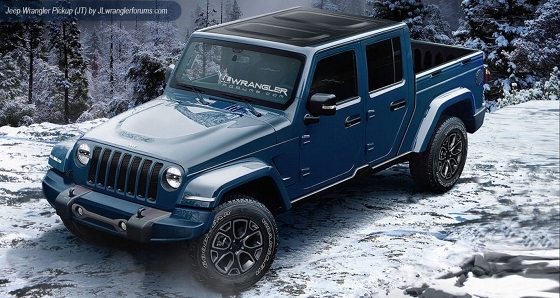 In fact there’s really no name for this market segment since the Wrangler has had complete dominance in this segment, an appropriate name for it would be the “Wrangler segment”. After-all what factory SUV in the American market has what the Wrangler offers its customers – the best off-road capability, a removable top, removable doors, and even a fold down front windshield? In other words the Wrangler is the master of it’s own SUV segment and has not had any real competition in 3 decades. One exception to this rule was the Suzuki Samurai which competed with the Wrangler during the Wrangler’s first generation. 1995 was the last year for the Samurai in America. Another exception was the 2006-2014 Toyota FJ Cruiser, which didn’t even make a small dent into Wrangler sales. Same was true with the Land Rover Defender which had a short stint in the US market. For the 2016 model year, Jeep produced 248,691 Wranglers. Production would have been higher had it not been for the capacity limitations of the Wrangler’s production facility in Toledo, Ohio. For the 2018 model year factory capacity will greatly increase to accommodate yearly production of up to 450,000 Wranglers. This will include production of both the upcoming JL Wrangler and JT Wrangler pickup truck. With Jeep producing so many Wranglers, it’s only a matter of time before another automaker produces a viable competitor. Ford, will be the first to throw it’s hat in the ring and release a Wrangler competitor. Ford made the official announcement in early January at the 2017 Detroit Auto Show, that the Bronco would return for 2020 model year. This is great news, Ford has been teasing SUV buyers with the possible return of the Bronco since its 2004 Ford Bronco Concept vehicle which was a modern retro boxy 2-door SUV with styling cues that harkened back to the original 1966-1977 Bronco. Road and Track magazine obtained confirmation from Ford Executive Vice President Joe Hinrichs that the new Bronco will be built on the 2019 Ford Ranger pickup truck platform. The American market 2019 Ranger will be built on a mid-size body-on-frame truck platform which will be based on the body-on-frame architecture of the Ford Ranger pickup which is currently available in overseas markets. For those fans of the full-size 1978-1996 Bronco, this is bad news. For the fans of the mid-size 1966-1977 Bronco, this is good news, since a 2-door 2020 Bronco will be closer in size to the original 1966-1977 Bronco which was a competitor to Jeep’s C5 and C7, both were the Wrangler’s predecessors. Ford already has a full lineup of SUVs to compete in every market segment except for the Wrangler’s. With the current uni-body mid-sized Ford Explorer selling so well, it wouldn’t make sense that Ford would replace the Explorer with a mid-size body-on-frame Bronco. With the overseas body-on-frame Ranger platform being about the size of the current Wrangler which also has a body-on-frame structure, it seems logical that Ford is intending for the new Bronco to compete against the Wrangler. Though Ford has a good track record in the past with releasing successful SUVs, the Bronco must be done right or else it may turn out to be a sales disappointment or relegated to low volume production like the Toyota FJ Cruiser. Though the FJ Cruiser had a sturdy body-on-frame structure and was a very good off-road vehicle, its lack of a removable top and not offering a model where the 4-doors opened independently ensured it would never take a sizable bite out of Wrangler sales. 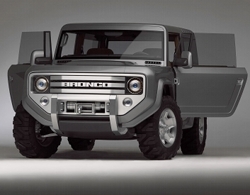 Ford if it’s serious about competing with the Wrangler must offer both 2-door and 4-door versions of the Bronco. Offering both manual and automatic transmissions is also a must. Offering removable doors and a removable top just like Wrangler is also a necessity..
A heavy duty 4-wheel drive system with a rock solid transfer case is imperative. If Ford is smart it will task the same engineering team responsible for the past and current Ford Raptor suspensions, to tune the Bronco’s suspension to tackle all possible off-road conditions. Ford has the engines currently available that would make the 2020 Bronco a sales success. Ford has in its engine inventory a 3.2 liter inline 5 cylinder diesel which produces 185 horsepower and 350 lb-ft of torque. 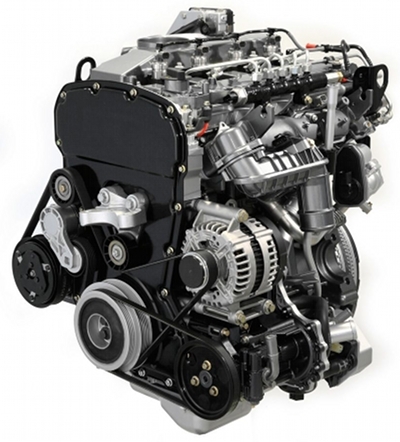 This engine would provide excellent fuel economy and great low-end torque but it would have to have an infusion of horsepower to complete with the 2018 Wrangler’s 3.0 liter V6 diesel which will produce 240 horsepower and 420 lb-ft of torque. It’s rumored the 2018 Wrangler will have the Hurricane 2.0 liter 4-cylinder as one of its engine choices. It’s expected to produce around 300 horsepower. Ford has the 2.3 liter 4-cylinder EcoBoost which is a current Mustang option, it produces 310 horsepower and 320 lb-ft of torque. This engine would make for a great Bronco engine choice. The 2018 Wrangler is also expected to be powered by FCA’s 3.6 liter V6 which currently produces 285 horsepower and 260 lb-ft of torque in the 2017 Wrangler. Ford’s current 3.7 liter V6 has a 300 horsepower and 280 lb-ft of torque rating which makes it a worthy engine option for the upcoming Bronco. Ford could makes things really exciting by offering its 325 horsepower and 375 lb-ft of torque 2.7 liter V6 EcoBoost or its 375 horsepower and 470 lb-ft of torque 3.5 liter V6 EcoBoost. Both motors are available in the 2017 F-150 pickup. If the Bronco wants to compete directly with the Wrangler, it’s imperative that it have boxy styling instead of the streamlined styling of most current SUVs. Ford has shown with it’s popular F-150 pickup truck lineup that it can make boxy styling very attractive. Ford doesn’t necessary have to give the Bronco a retro look, however Ford has been successful using a modern retro look with past Mustang models. 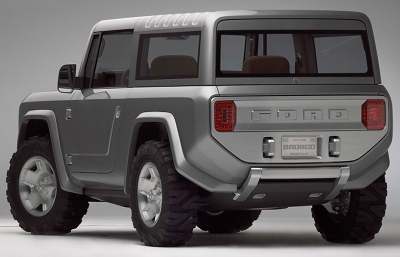 The previously mentioned 2004 Ford Bronco Concept is proof that Ford has the talent to create a beautiful modern boxy SUV design with retro styling cues. If done correctly, the 2020 Ford Bronco has the potential to be a mega sales success. Make no bones about it, there’s an epic battle in the works. This is a battle that will start upon the release of the 2020 Bronco. The upcoming all-new 2018 JL Wrangler and 2019 JT Wrangler pickup truck are destined to be great vehicles that will revolutionize their market. 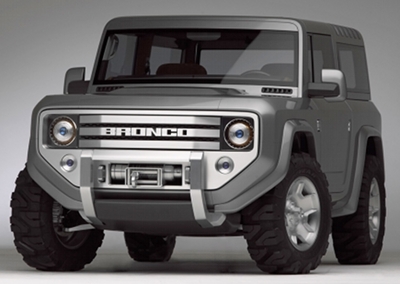 The Ford Bronco will add another unique facet to this market. This upcoming competition will bring out the best in both Jeep and Ford. The winner of this battle between the 2020 Bronco and 2020 Wrangler will be the consumer who will have more buying choices.